Interviews are a stressful situation for most people, but are an important step in obtaining a position that a person desires. Whether applying for a new job or getting into graduate school, you must be able to make a good impression at the interview. The job interview is typically the second step in the hiring process following submitting your resume. This really works in your favor, because when you think about it, they are already interested in you! After reviewing your resume, your potential employer now wants to put a face to the creditials to confirm that you are the right person for the position. Essentially you are like a salesperson trying to pitch an item to a potential buyer. The buyer wants to buy the item, and is just looking for confirmation to push them over the edge. The moral of the story is....give them what they want! Let's review a few tips to help you make a great first impression and come out on top for your job. 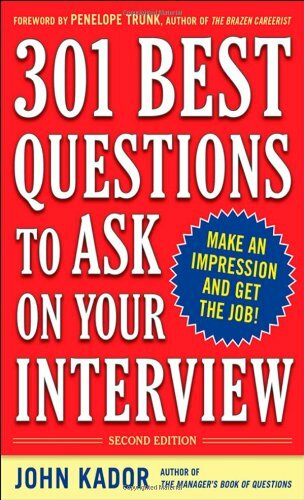 Upon arriving to your interview, give them a warm smile when you first meet them. Remember, the employer might even be nervous as well, and a friendly smile will really help set the tone for the interview. If you really have trouble smiling at people, try practicing with random people you see. Ask them how they are doing and practice giving them your most winning smile. If you get a warm smile in return, congratulations, you just put someone at ease and make them feel more comfortable around you. Remember to set a friendly tone for the meeting by smiling at your future employer. Your appearance is going to be one of the first things the interviewer will see. While a nice suit does not mean a great person, a well-dressed interviewee definitely helps make you look like a professional. This does not mean you need any Joseph A Bank or Gucci-like high end brands. My suggestion is that whatever you deem the appropriate dress-code to be...take it one notch higher. Remember you want to stand out in the potential employer mind and your appearance if the easiest way to do this. You would think this concept common sense, but I am always amazed when people show up at our business looking shaggy and scruffy. You cannot just roll out of bed, toss on your best suit and stroll to an interview thinking you've got it in the bag. Guys, get a haircut and a make sure you are clean shaven. Gals, make sure your hair is fixed, and do not show up with wet hair pulled back in a ponytail...accessorized with the latest $400 suit. These simple things speak volumes and suggest that a person really pays attention to small details. Nothing is worse than grabbing someone's hand and it feels like overcooked noodles. Make sure you offer a firm grip (not painful though), pump their hand a couple of times, and let them know how nice it is to see them. A handshake speaks volumes about a person, and people really do perceive a lot about a person based on this age old greeting. Don't neglect it! Get a stress ball if you need to build up your hand strength...just kidding. What are you talking about?!?! Think about what is going to happen in the interview and prepare yourself. Most interviews are going to consist of a questions asked by the interviewer, an opportunity for your questions and then a short tour of the facilities. 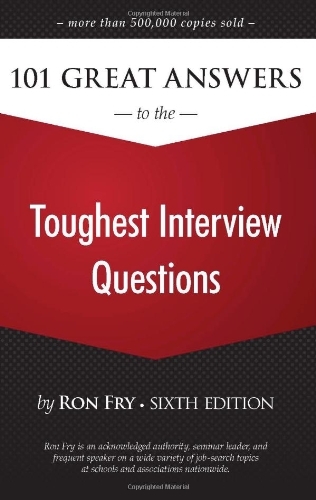 Research typical questions asked in an interview, and think about how you would respond, e.g. "What do you think is your biggest weakness?" Interviewers are going to ask you these types of loaded questions in the interview, and you want to respond in an appropriate manner, e.g. "I really have a hard time saying "No" to people. I often take on a lot of responsibility." So take an apparent weakness and turn it into a perceived strength. Also, think about some great questions to ask your future employer, and try to ask them at relevant times in the QAQ format (question, answer, question). In other words, answer their question and follow up with a relevant question. This helps keep the interview feeling more like a discussion and less like an interrogation. On that note, never ask what you are going to get paid unless the interviewer broaches the subject. Most of the time, this is handled in the HR department after it is decided you are who they want. However, do have a figure and benefits in mind in case you are asked what you would like to make...it happens. Take the time to prepare yourself for the upcoming interview, and don't just wing it. Discover good responses to tough questions. Good follow up questions to ask your future employer. Body language speaks volumes to the potential employer. For example, a person leaning away from the interviewer with their arms cross in front might be perceived as defensive and aloof. 2) Lean forward slightly towards the interviewer(s). 3) Relax your shoulders and arms, use your hands to help you make a point if needed. Use these tips to show a calm, confident and sincere personality to the interviewers. Finally, approach the interview with an air of confidence (not arrogance though). Use active vocabulary in your questions. For example, "What are my responsibilities to be when I start?" Let the interviewer believe he/she has already found their new employee and the on the job training has already begun. Just remember, like a person looking to purchase that luxury item, this employer is just looking for confirmation that you are the one they want. You already got an interview based on your creditials, now give them what they are looking for to send you down to HR to fill out paperwork! I know you are going to crush your upcoming interview, and I hope these tips are useful in your preparation. Be calm, confident and friendly to the interviewer, and you will be fine. Remember, they want you! Just give them the reasons they are looking for to go along with your great credentials. Good luck! A nice and concise article! Thanks! Much obliged, went through the interview process myself about a year ago. This stuff really helps make a good impression. Thanks again!